Our Samba server is tied into a Windows 2003 Domain and we use groups to provide access to the shares on the CentOS server. It had also been running perfectly fine for months to years. “<SHARE NAME> is not accessible. You might not have permission to use this network resource. Contact the administrator of this server to find out if you have access permissions. I commented out the line “winbind use default domain = yes” in ‘/etc/samba/smb.conf’, restarted Samba and the problem was resolved. This issue caused both domain logins to fail AND logins with local credentials. Posted in Active Directory, CentOS, Linux, Samba, Windows Server. 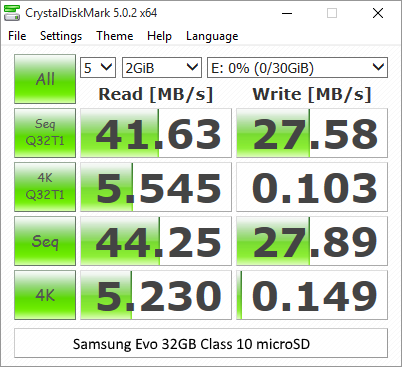 Recently started replacing my microSD’s I use for some Raspberry Pi’s with the new Samsung EVO line of microSD card and figured I’d do some benchmarks. 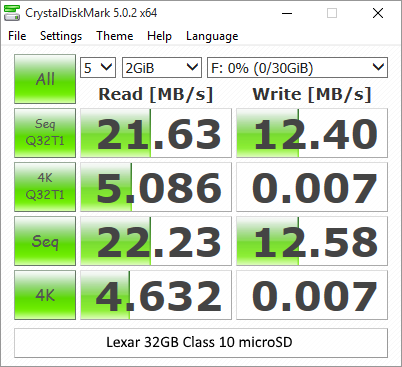 I’m sure you can find much better write-ups online but here are my results from some quick benches using CrystalDiskMark 5.0.2 64-bit on Windows 10 64- bit using a Lenovo T450S and it’s built in SD Card Reader. 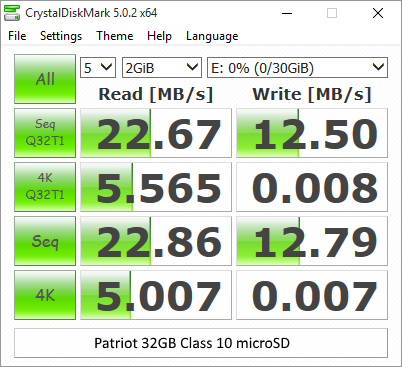 Each microSD got a quick format to FAT32 and then I ran the default benchmark in CrystalDiskMark. The Samsung Evo clearly is the winner but we all already knew that.